I was determined to be a smart sale shopper this year; buying only items I had eyed at full price and not being led astray by random bits and bobs I didn't need. I also signed up to a million e-newsletters to ensure I knew when all the sales were starting. Fail to prepare? Prepare to fail! For some reason my bath phobia has lifted (maybe because my new house has a big bathroom with a window and doesn't feel claustrophobic) and I really wanted some relaxing aromatherapy bath oils. This gorgeous set of minis by Aromatherapy Associates had eluded me for too long! I finally found it for half price on the Aromatherapy Associates website when they went into a rather late and unpromoted sale. 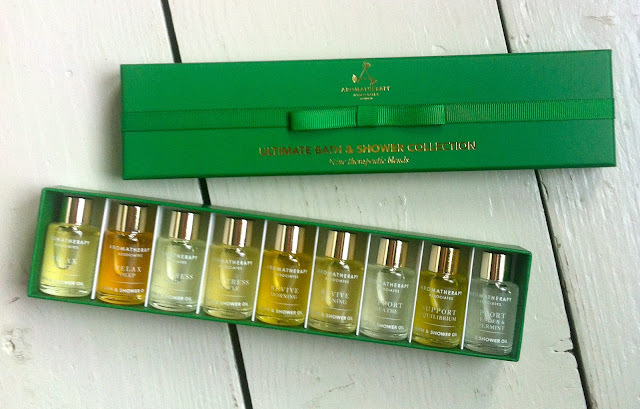 So far I've only tried the 'Relax Deep' oil but I figure this set should last me until next Christmas. It's also the perfect way to test all of the different scents in the range. 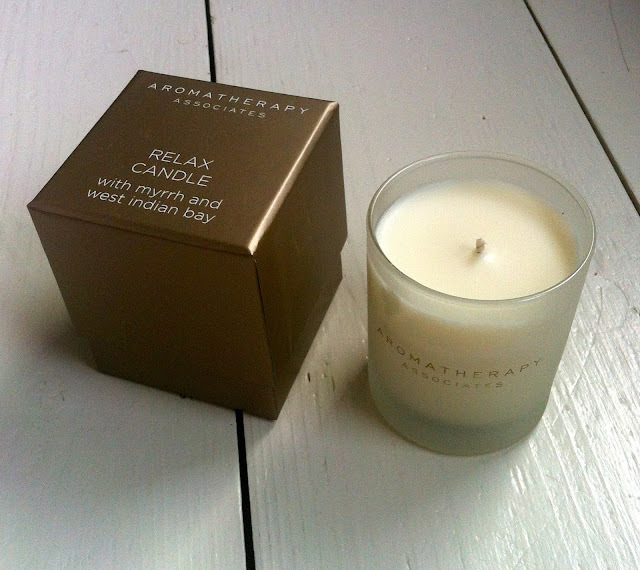 While shopping their sale I also bought a 'Relax' candle which has a low-key, sophisticated spicy smell. The key oils used are West Indian bay, Geranium and Myrrh. It uses natural wax and produces no soot. 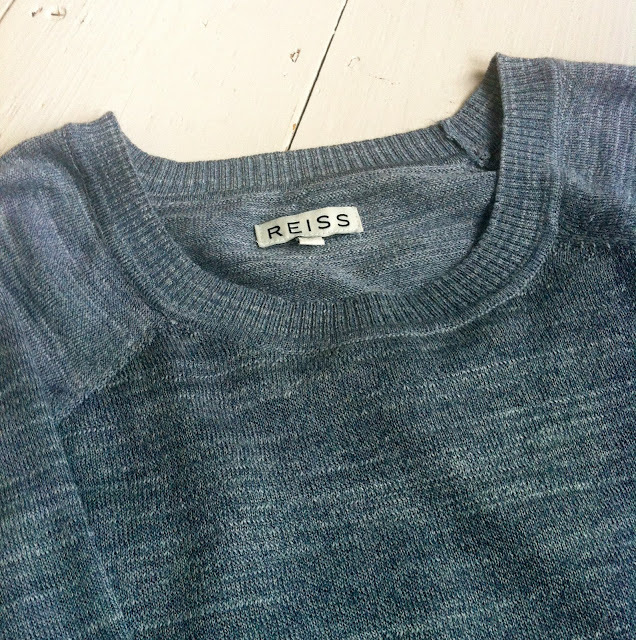 I'd wanted this Reiss 'Cate' top for months but didn't want to pay £80+ for it. The shape and style are similar to a sweatshirt but the material is a woven knit. It's already proving to be a *Trinny Woodall voice* key piece. The necklace was for sale at 75 per cent off in Accessorize. It's tiptoeing into the tacky bracket but I like to wear it over plain crew neck jumpers and t-shirts to add a bit of colour and sparkle. What bargains did you snag in the sales? 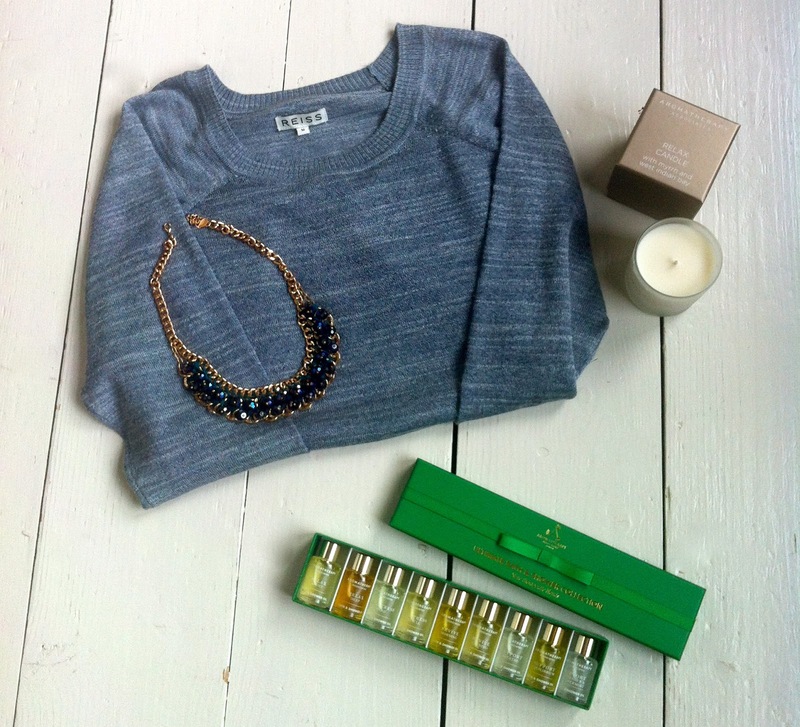 Really lovely buys, esp the Reiss top. You did what I always INTEND to do. Instead I spent a small fortune on a trillion things which I'm still in the process of returning most of!